it is not a club actually. it’s more like a stall which sells cheap alcohol drinks, such as Vodka or Sake or Arak Bali shot for 12k, flavored Beer for 15k. There are 3 floors in here, with different kind of music with different kind atmosphere. Top floor has 2 dance floor, indoor and outdoor with house/trence music. I like this floor, so open air. 2nd floor has 2 dance floor also, indoor with bar and outdoor with bar also, half open with exclusive design and kinda R&B music. First floor would be wooden dance floor, I think the song there is a little bit oldies, I dunno exactly. first floor is dance floor, kinda quiet and there are old pool table. Second floor is like a bar, bright light, full of young people dancing around. The club entrance fee is Rp. 30,000-50,000 depends the day and the drink price is about 50% cheaper than in Jakarta club. You’ll get beer or softdrink for your free drink. My fave drink would be “Blaster”, with kinda melon flavor served in medium size fishbowl and “Jungle Juice”, kinda orange flavor served in tall waterjar. Those cost about Rp. 50,000 or Rp.60,000 in happy hour time but the size of the drink was surprising. Kinda big. One time I went there before 11pm and it’s happy hour so I buy 1 for 2 for Rp. 60,000. Really love this club. Located next to Bounty, big dance floor, good music, good sound system. I like it there but usually not many people dancing on weekdays. Their cocktail drink is similar to Bounty. Entrance fee for local is Rp. 50,0000 and free for foreigner. It’s an open air beach club, there is swimming pool. it was full with people dress-up so nicely and exclusive when i went there. havent had chance to get inside cause I hardly saw any guest that time. 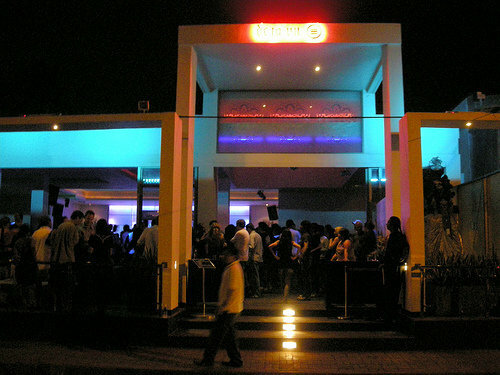 But it is a very nice place, similar to big club in Jakarta. I would love to try to go there next time. 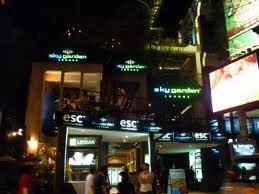 Very nice vibrant, nice music, just in front of Legian Beach.. like this place. I checked out the place from outside and it looks good, like in the open garden. Only I heard it’s full on Friday only. Nice decoration, very exclusive only it has few guests when I passed this bar. That time was end of February and it’s located next to my hotel, Taman Ayu Cottage so I can check on them. But I hardly saw any guest that time. They have live music and mostly old songs or country or maybe that was the songs theme that nite .. good for relax while watching the couple dance and having late dinner. 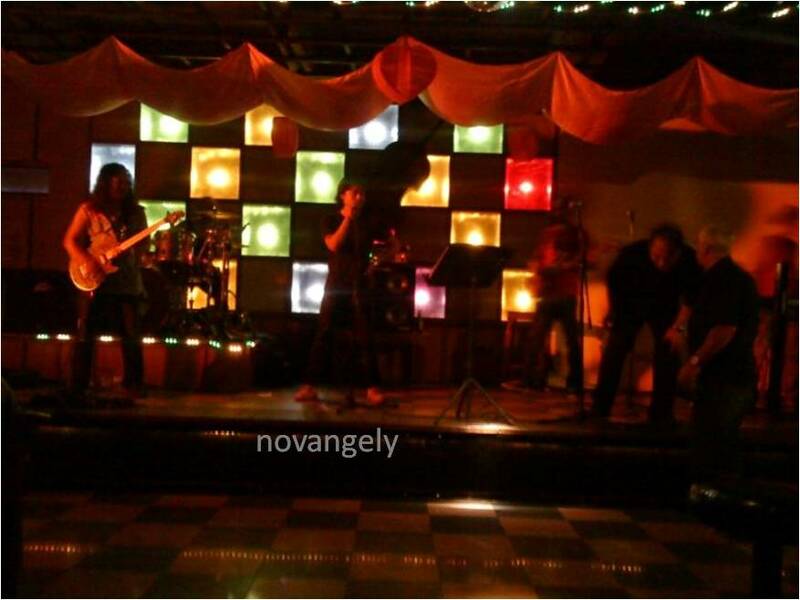 Iguana Cafe in Candidasa, it has a live music. Small one, like a bar. Zigiz Cafe at Lovina, small cafe with 2 stories and nice old music. Nice place to have chit-chat. 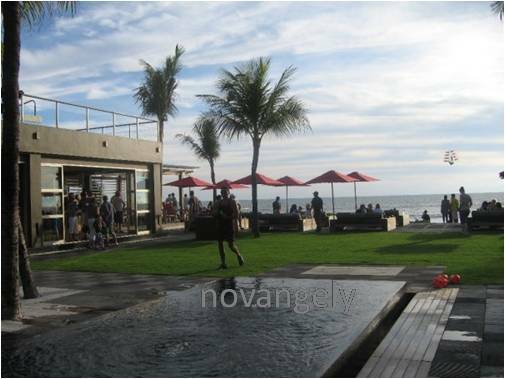 KLAPA cafe at Pecatu, Dreamland Beach. – If you go to a club, it would be better to leave your wallet/purse at hotel. So just bring your money and ID to avoid losing it when you are drunk. 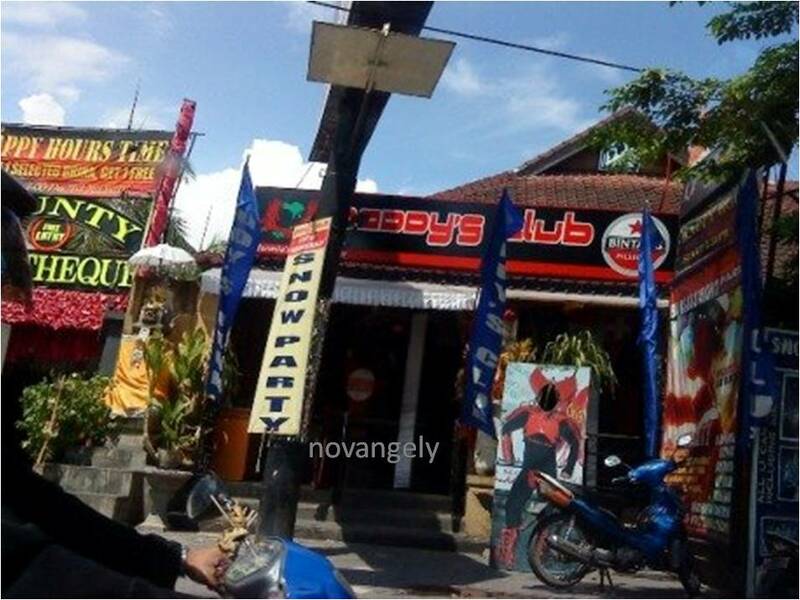 – Mostly clubs in Bali offer free entrance for foreigner.